Myelopathy, cervical stenosis, amyotrophic lateral sclerosis (ALS), dyspraxia and strokes are just some of the reasons for a complete or partial loss of mobility or motor skills in the hands. These affect both in children and adults, but are especially seen in senior citizens. Everyday tasks such as cooking and doing chores can become a challenge, and in certain cases, depression, social anxiety or feelings of dependency also surface. So, the overall quality of life of such patients are affected. In the past, to improve hand function, rehabilitation with a therapist involved inefficient and long-drawn exercises. Made of a kind of neoprene material, the 10-ounce glove has grippy rings made of rubber, which power into life when the glove is put on. This feature was to help patients with reduced holding strength perform the routine ‘grasping’ motion, with a certain level of comfort. 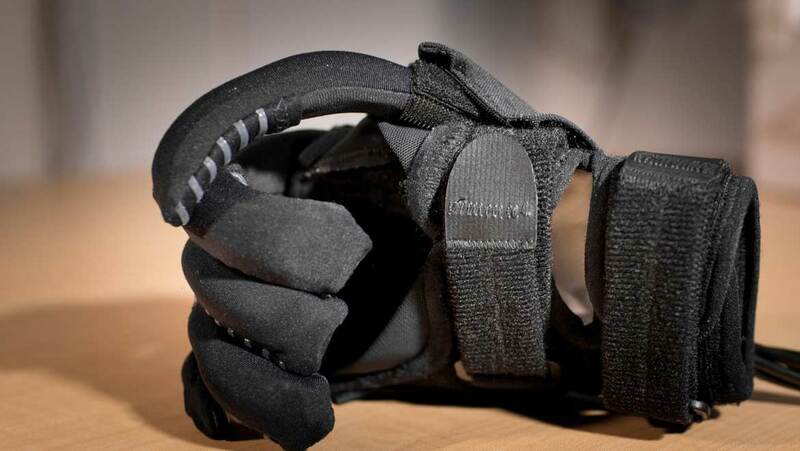 For the same purpose, the glove’s composite actuators of Kevlar fibers and silicone elastomers were built to redistribute the force among fingers and thus induce bending, twisting and extending. The greatest gift the robotic glove can give is flexibility of joints, which renders a dexterity that is essential for daily life, as iterated by robotics developer, Steve Kelley of Myomo. The mechanism of this bot is fascinating — the fingers of the glove consisting of silicone balloons and fibers tend to move when water is pumped into it from a waist pack. Instead of expansion of the balloon, the fibers get arranged in a certain pattern, which aids bending of fingers. The controls of the robotic system were made lightweight, hence portable, and can therefore be attached to a person, or wheelchair. The team is developing methods to improve these controls, which, in the future, hope to determine the user’s intent or when a signal is detected in the arm muscles for movement. Currently the machine is controlled by a switch or voice command. If this product releases in the market soon, and Walsh believes it will be “suitable for the medical environment in three years”, disabled patients will get a renewed chance at ADL (activities of daily life) without the need of any assistance. What a wonderful world that would be!